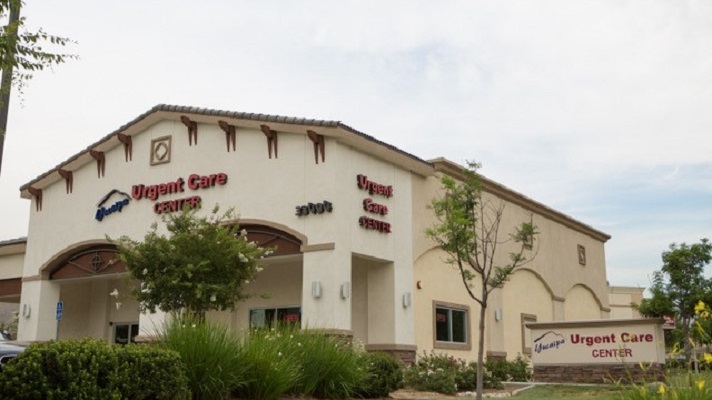 "For this new urgent care business, I knew we needed an electronic health records company that specialized in the urgent care space to provide the functionality and efficiency required to make it work," said Bearie, president and medical director of Yucaipa Urgent Care Center. "In my experience, working with hospital-associated urgent care clinics, many were using EHR solutions built to serve larger health systems and it was clear that the ‘one-size-fits-all’ approach wouldn’t be enough." "It had to be customizable, intuitive for staff, and enable the clinic to create a better experience for patients," Bearie explained. "Yucaipa Urgent Care wanted industry-leading solutions that would enable seamless operations and efficient healthcare delivery." "DocuTAP was the only company that said they were built for urgent care clinics, which helped seal the deal in going with them," Bearie said. "The company understood that one size doesn’t fit all when it came to EHRs and the other services we needed and because of that, they could make our jobs much easier. "A large part of our decision was based on the company’s sleek and easy-to-use interface," he added. "This included DocuTAP’s EHR, practice management, analytics and reporting functionality, and consulting and revenue cycle management services. But primarily, DocuTAP was incredibly intuitive, making it easy to implement and onboard our staff." "Choose a solution that allows you to make it yours and best serve the needs and priorities of your business." "The company’s EHR platform would help streamline operations at the front desk, for clinical and billing staff, to enable the full team to deliver a seamless experience and operate at peak efficiency," Bearie explained. "The vendor had all the offerings and capabilities we were looking for." "The efficiency provided by the EHR has improved the care provided at Yucaipa as well," he added. "Our physicians are able to quickly and easily complete patients’ charts in real time during a visit, which has eliminated the need for physicians to step away from appointments and defer attention from patients to finish charting. The patient is seen, the prescription is sent, post-appointment instructions are waiting for patients at the front desk, and they are all set to go." "It was made clear almost instantly that DocuTAP is much more intuitive and efficient at facilitating daily clinical duties and patient visits," Bearie reported. "What was even more surprising was we soon realized that using DocuTAP, we could get done in two hours what took almost a full day at our other locations. The value of purpose-built solutions has been evident since the start." "It is important to also note how easy it is to reproduce the EHR for business growth," he said. "The EHR and practice management technology can automatically be replicated across urgent care sites to keep Yucaipa consistent, they also allow different care sites to communicate easily whether it be another Yucaipa clinic or another care provider." "We are now able to connect with patients throughout the entire patient journey and eliminate any time wasted waiting in the waiting room," Bearie said. "In addition, check-in has been transformed to be faster and super-efficient with iPad kiosks available for patients to check-in once or check the queue of appointments ahead of them as soon as they come through the doors." "The EHR has helped save time and money at Yucaipa," Bearie said. "With customized templates and same-time documentation, charting takes less than two minutes for our physicians. The EHR is intuitive and eliminates the need for tasking staff training. Because we are able to see patients faster, from the point of check-in to the discharge process, this has helped boost satisfaction for our patients and staff." "The EHR technology a healthcare provider chooses is one of the most important business decisions we make," Bearie said. "It can provide great value and elevate your business to the next level or it can prove to be a significant disadvantage to the overall operation and success of a practice." "Another key component is customizability," he concluded. "Every business wants and needs different things from their technology. Choose a solution that allows you to make it yours and best serve the needs and priorities of your business. This tailored approach will provide a new level of efficiency to your practice that is unattainable otherwise."